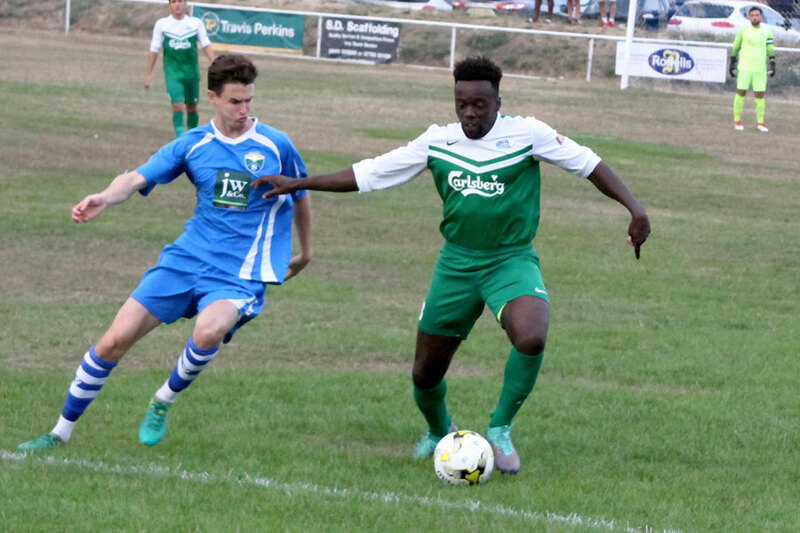 Jets got three good points on the road beating London Colney 0-1, much-needed points after two competitive defeats. Jets pre-match ahead of a tough fixture against likely title contenders. 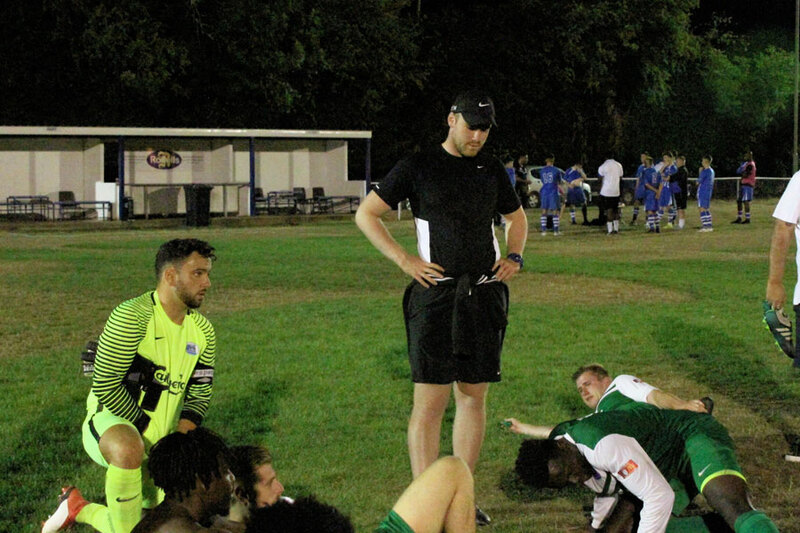 Injuries and holidays forced boss Tim O’Sullivan into changes, and it was a tough decision on how to line up after the host’s excellent result winning 2-0 against one of the early title hunters, Leverstock Green, who seem to have found fantastic back scene resources. Tim recalled Gary Wallace and a season’s debut for returning Ashley Fongho, taking a break from his pop star Rak-su fame to put in a solid performance at the back in place of working Chris Killer (His last match was in front of a full house at Old Trafford!). 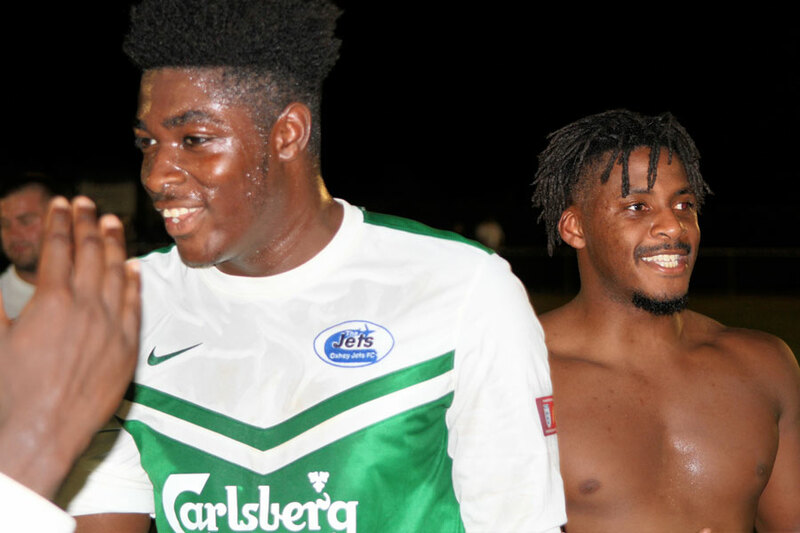 It was an end to end battle on a steep pitch, but Jets wanted something going down the slope. Jets had the first significant opening when Ryan O’Sullivan broke clear, but the chance and shot was scuffed. 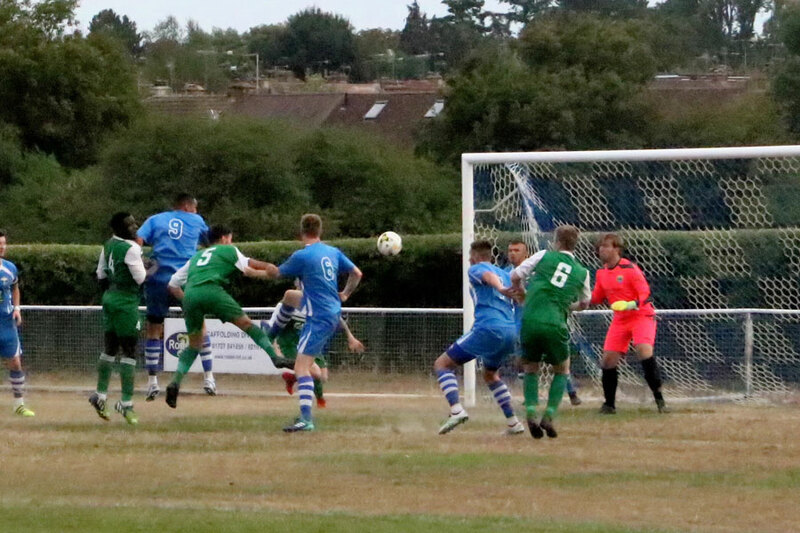 We thought we had the breakthrough when, from a corner, Vass got a header that beat the keeper but bounced back off the post ( again as it happens this season that’s five times in three games). 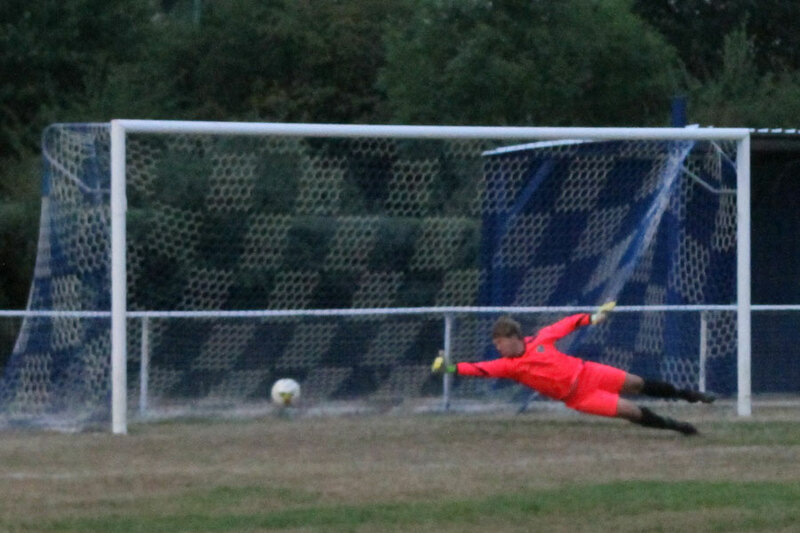 Luke Jones fires low and hard from 25 yards giving the keeper no chance. The hosts swung, and it was dig-deep time and Jets back four did well. 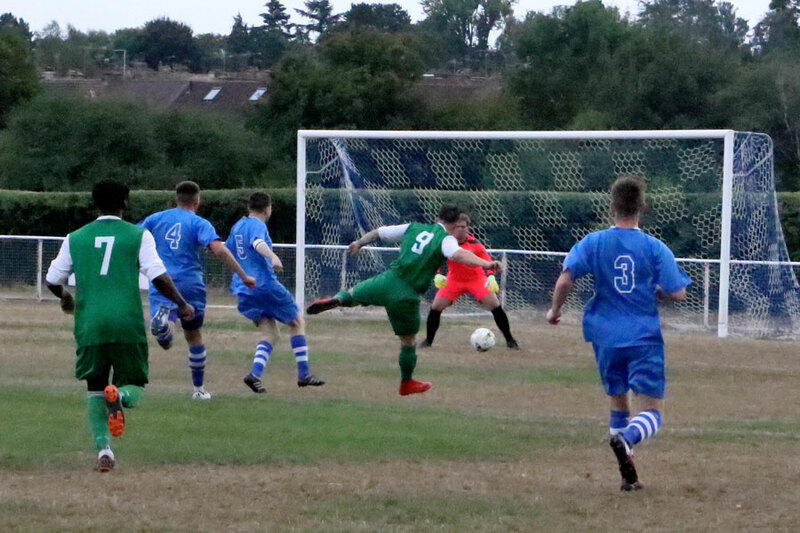 With half-time approaching Colney had a great chance skim past the goal then Jets instantly broke forward, and a Luke Jones long-shot beat the keeper for the lead 0-1 (43min). Jets had a massive chance when good play took it past the advancing keeper, but one, two, three passes later and no shot ending with the defender’s frantic efforts to block and the chance was lost, and then it was the half-time break. 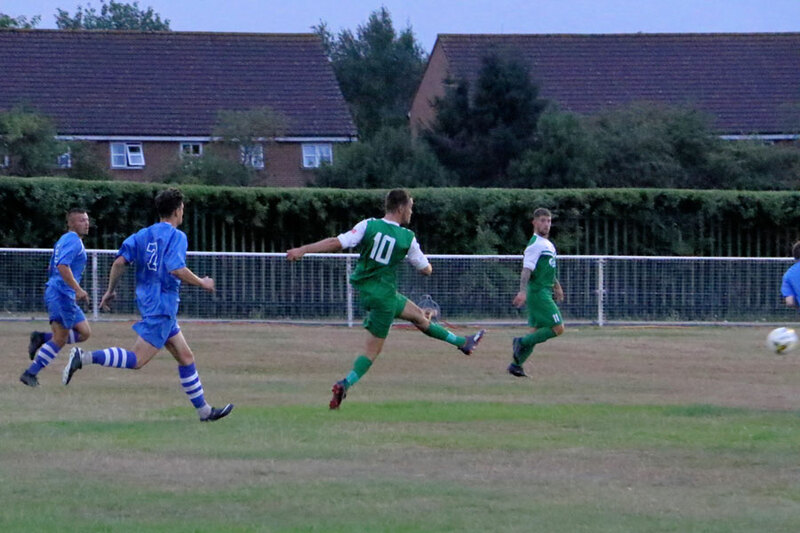 It’s a significant slope and Jets knew there would be periods to mop up the pressure, and there was now long periods, but Jets dug in very very well, and the back four and keeper were equal to everything. Jets delighted with three excellent points. Changes were made as the manager played all the cards and Jets were pushed back for long periods but held out for three excellent points. 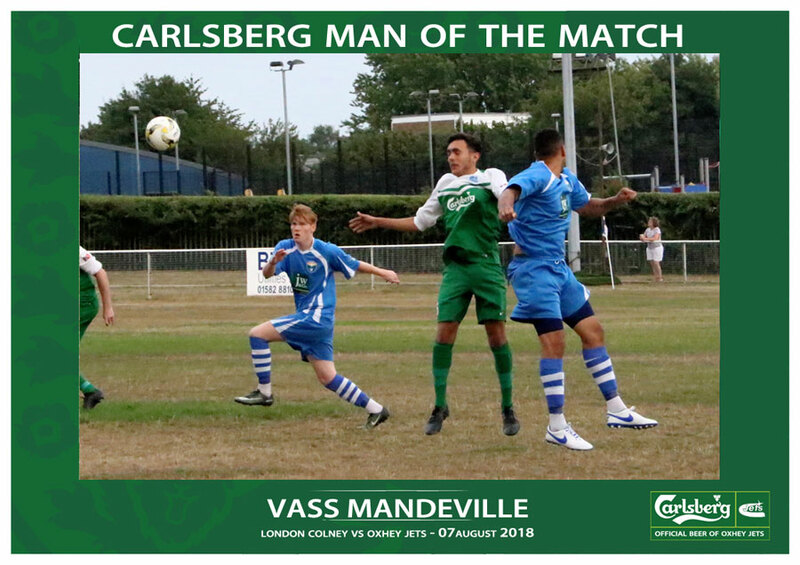 The Carlsberg Man of the Match was contested, an excellent debut by Ashley, the whole back four and Leigh Stevens and Degi working their socks off again, but the award went to Vass for a commanding match by the youngster. It’s not over until Ryan says so! … 3 points but still a thorough warm down routine. 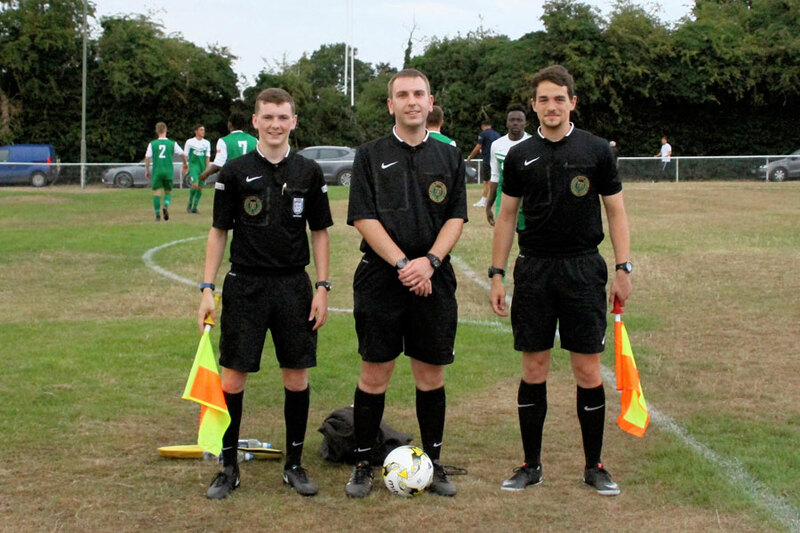 Three big points after two defeats and a morale boost to take into the FA cup tie on Saturday against a very good and in form Wantage team. 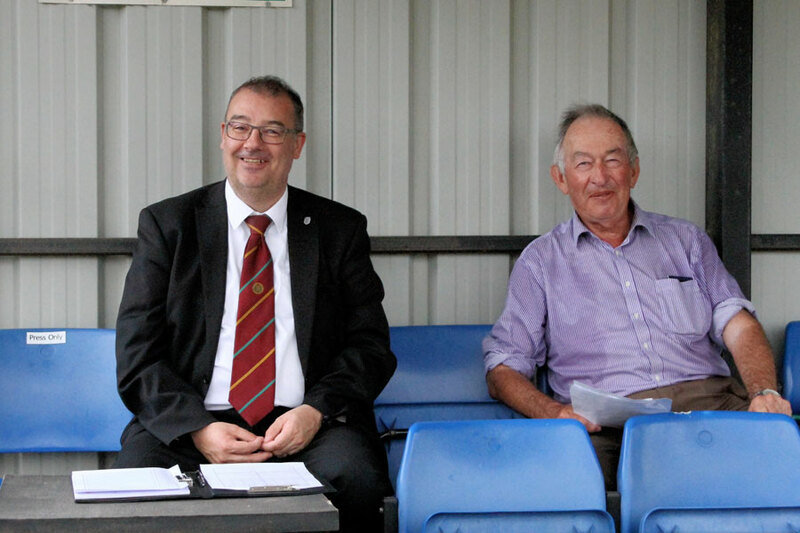 Sensible and well officiated match.